Nominated for an Oscar, this romance offers a look at a man that is a British reported caught in a love triangle. 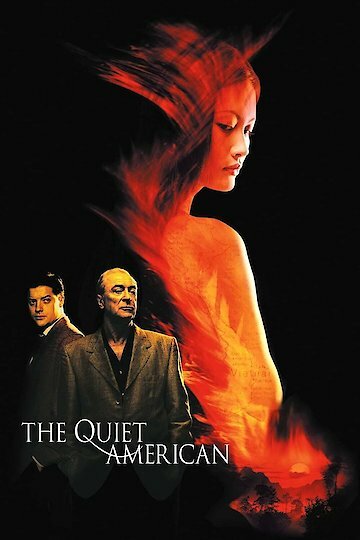 Based on a novel, Miramax bought the rights to make it into a film for North America. It is set in Saigon in 1952. As a period piece and love story, it brings the love triangle of the main characters Thomas Fowler, played by Michael Caine and Phuong, played by Do Thi Hai Yen together as the reported attempts to cover the area during the Vietnam War. The love triangle is created when Alden Pyle, played by Brendan Fraser, who tries to steal Fowler's lover. The drama ensues and creates a look at both the times and the issues of the murder for the Vietnamn War through the drama triangle of these three lovers. It shows the facts of what happened at that time in history with a story of the relationships that can become difficult and shape people forever. Directed by Philip Noyce, it was nominated for an Oscar for Micahel Caine's performance, it has won seven other awards at other movie award ceremonies. Altogether, it has been nominated for 16. The Quiet American is currently available to watch and stream, download, buy on demand at Amazon Prime, Amazon, Vudu, Google Play, iTunes, YouTube VOD online.